By Azzief Khaliq in Desktop. Updated on November 19, 2017 . And that’s it, we have ourselves a new Mac OS X: Mac 10.10 Yosemite. The previous version Mac OS X Mavericks was installed 40 million times, thereby locking its OS adoption rate as the fastest in the history of the PC. The fact that it was free and loaded with powerful features probably contributed to the adoption rate, and we are set to see another attempt at that record with Mac OS X Yosemite. Announced in Apple’s 2014 WWDC, Yosemite brings with it a raft of changes that are going to really change the way users use Mac OS. From a fresh new look, to the tweaked and improved Notification Center and Spotlight, not to mention great new features such as SMS and call support, and a more powerful Safari, Mac OS X Yosemite looks like it’s going to be a great new OS. 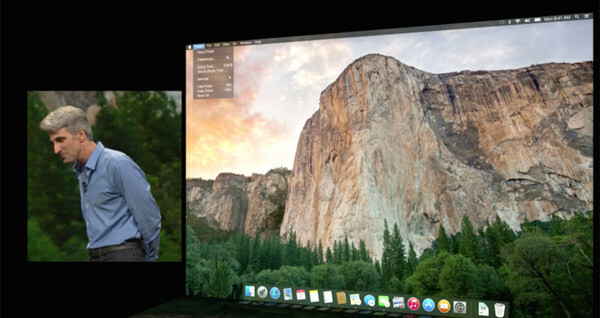 Here’s a quick look at what you’re going to be able to expect from Mac OS 10.10 Yosemite. Well, Apple has gone and done it. They have meshed iOS and Mac OS X into one with the latest design changes. Mac OS 10.10 also known as Yosemite features new flat, clean and minimalistic icon designs, translucent title bars as well as sidebars with see-through windows that changes color to reflect the wallpaper in the background. This translucency is carried over to the Dock as well. The typography for this round of update achieves more consistency, especially in the menu and title bars and some apps are getting a new space-saving integrated menu and title bar. Plus, the latest Mac OS update is getting a Dark mode that we’re sure many are eager to try out. 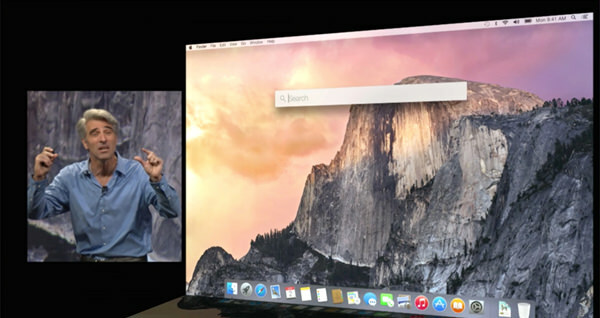 Understandably the Notification Center is also getting a brand new look in Yosemite. As you might expect, it follows the new design standards looking clean, and flat, and with a new Today view. This view shows you all your calendar appointments, reminders and weather for the day. This view is also expandable, and you can even extend the Today view’s capabilities with third-party apps and widgets. 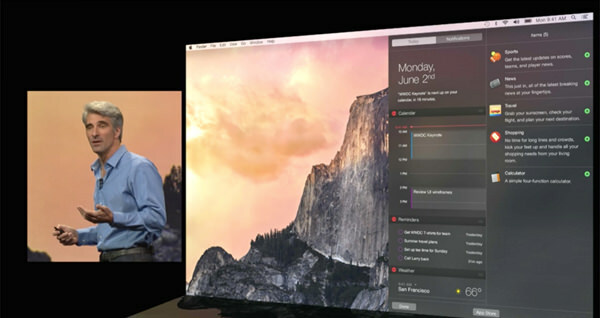 The new Notification Center is also interactive and clickable. Spotlight gets a facelift, a new position, and more attention right in the center of the screen. You can’t miss it, which is a good thing since Spotlight has also become a lot more powerful than it already is. It’s no longer limited to returning only results and information from your Mac, but now can also show additional info from the Internet as well as third-party applications such as content from Wikipedia. You can also get screening times (for films), Maps data, content to stream straight from iTunes — all directly in Spotlight. On top of that, the new Spotlight also lets you look up people, their contact information, find them in Mail as well as events and reminders they are involved in. The cherry on top however has to be that you can now convert units of different measurements directly in Spotlight. 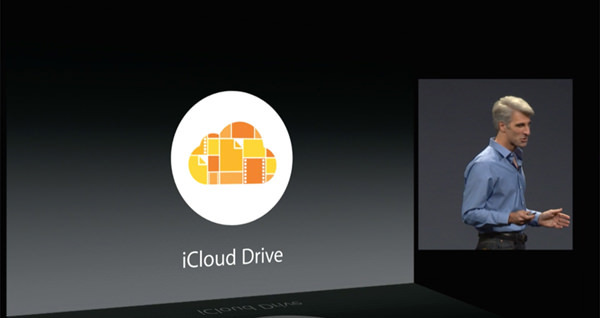 It’s hard to ignore the hunger for cloud-based sharing and Apple’s solution to that comes in the form of ICloud Drive. While the concept isn’t new and they could have come up with a more creative name, iCloud Drive is the solution to cross-platform access to files. You’ll be able to drop in, access and sync your files whether you’re on iOS, Mac OS or even Windows. These folders are accessible via Finder and tagging is supported. Mail on iOS 8 has a lot more features than its desktop counterpart but you can still expect to fall back on more reliable syncing, faster switching between mailboxes, and a Mail Drop feature that lets you send encrypted attachments separate from the email via iCloud (of up to 5 GB in size). Mac users will see the attachments as normal, while non-users (or those not using the Mail client) will get a link to the file. Yosemite also introduces a new Markup feature, which lets you annotate and scribble on images or PDF files without third-party image editing software. Markup will even clean up and fix things such as arrows and speech bubbles, so you can focus more about your annotations and less about trying to make your arrows look nice. You wouldn’t think it is possible but Safari is getting yet another facelift with a new unified menu and title bar. This unified bar removes a lot of what we usually see in the Safari menu bar and replaces it with a new smart search field that not only shows your favorites, but also gives you Spotlight suggestions. Safari’s also getting a new sidebar with all your bookmarks and a more powerful sharing feature, letting you subscribe to an RSS feed directly from the browser, forward sites to social networks, as well as share and email webpages and images to people you communicate with. And, yes, Markup is also supported here. The tab functionality on Safari has also been enhanced. For one thing you can now smoothly scroll through all your tabs (from left to right), and for another, you get a bird’s eye tab view that not only shows all the tabs you have opened, but neatly categorizes them into the sites they are from. You can also now create a new private window easily from the menu, and this window will not affect any of the other windows you have open. On the technical front, Safari now supports WebGL, SPDY and HTML5 Premium Video; the latter makes streaming video more efficient and will apparently ensure that your MacBook battery lasts 2 hours longer than usual when streaming 1080p video content via Neftlix. Since we are going for higher integration between iOS 8 and the latest Mac OS X, AirDrop has also seen some improvements. It now lets you sync files and communications between the mobile and desktop OS, but what really pushes the envelope is the Handoff feature. Handoff greatly improves and redefines inter-device continuity, allowing you to switch seamlessly from one device to the next. While you work on one device, icons will appear — in the dock on Mac OS X, or on the lock screen of your iPad — that will let you immediately swipe a file or email among your Mac, iPhone and iPad. 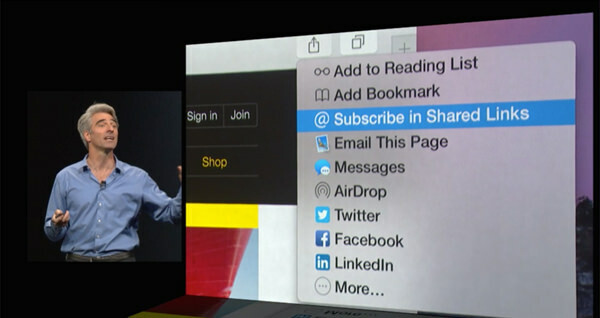 Basically, you can finish writing the email started on your Mac, on your iPhone if you really need to go. You don’t even have to worry about setting this up. 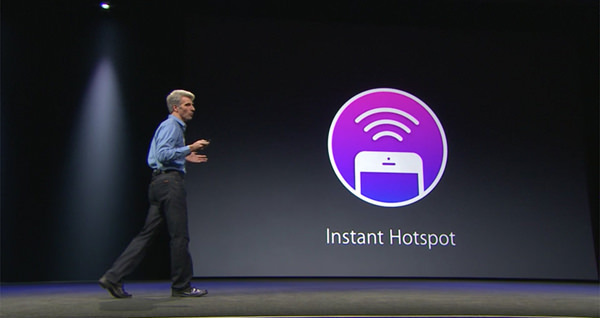 Yosemite has it all figured out for you, as your Mac will be able to detect a nearby iPhone and let you set up a mobile hotspot directly from the Mac — no complex, time-wasting setup or configuration required. The new AirDrop and Handoff features tie in to the interesting new SMS and calling features. iMessages now can act as a relay for SMSes, letting you read and reply SMSes on your Mac, even from non-iOS users. Yosemite will also transfer phone calls directly to your Mac, showing you caller ID, as well as letting you accept and reject calls directly from your desktop. You can even use your Mac as a speakerphone, so you never even have to pick your iPhone up if you’re working at your Mac. This calling functionality means that you can also dial numbers directly from webpages and the Contacts app. Mac OS 10.10 Yosemite is available today for developers, as part of its developer preview program. Non-developers will have to wait until Fall to install Yosemite, but the wait is going to be made a lot sweeter by the fact that Yosemite, like Mavericks before it, is going to be free.